Both regulatory authorities have taken steps to stay abreast of innovation in financial services in their respective markets. 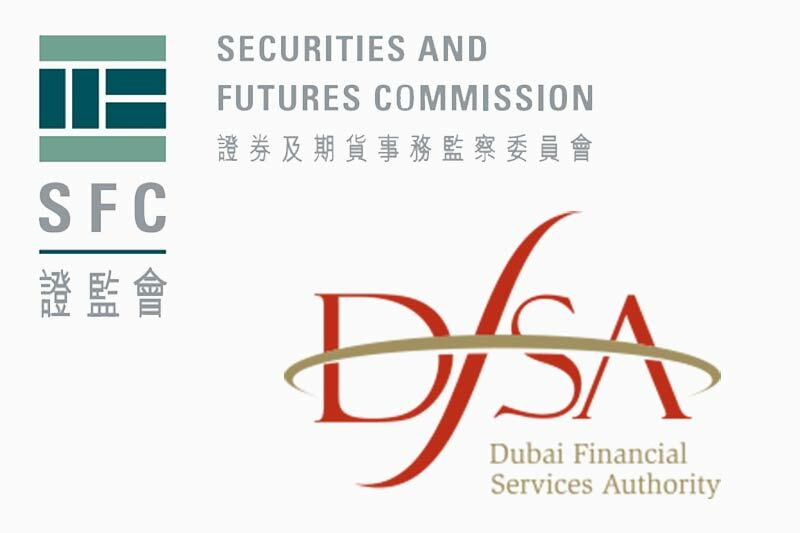 The Hong Kong Securities and Futures Commission (SFC) and the Dubai Financial Services Authority (DFSA) entered into a cooperation agreement on August 28 to establish a framework for mutual assistance to keep abreast of the development and application of financial technology (FinTech). SFC regulates the securities and futures market in Hong Kong, while DFSA is the independent financial regulator of the Dubai International Financial Centre (DIFC), a Federal Financial Free Zone administered by the Government of Dubai, with its own independent civil and commercial legal framework, inclusive of financial services regulation. In line with other similar bilateral agreements (like this one between SFC and the Australian Securities and Investments Commission), the SFC and the DFSA will cooperate on information sharing, potential innovation projects and referrals of innovative firms seeking to enter one another’s markets. The two regulators would assist the referred innovative firms from each other’s markets with understanding the regulatory regime in the referral receiving authority’s remit. Information sharing would include emerging trends and developments, regulatory issues pertaining to innovation in financial services and information on organisations or bodies leading financial innovation. Both regulatory authorities have taken steps to stay abreast of innovation in financial services in their respective markets. SFC established the FinTech Contact Point in March 2016 to enhance communication with businesses involved in the development and application of FinTech and RegTech in Hong Kong. Following the launch of the UAE government’s National Innovation Strategy in October 2014 and the Dubai Government’s Blockchain Strategy in December 2016, the DFSA conceived a regulatory FinTech regime. In January 2017, the DIFC Authority established an accelerator programme called the FinTech Hive. In May 2017, DFSA launched Innovation Testing License (ITL), allowing qualifying FinTech firms to develop and test innovative concepts from within the DIFC, while ensuring financial stability and protecting consumers. On 1 August 2017, the DFSA introduced regulations formalising a tailored regime for loan and investment crowdfunding platforms to enhance the efficiency of markets and provide better services and solutions. The cooperation agreement can be accessed here.